DAVID LE/Staff photo. 2/25/15. 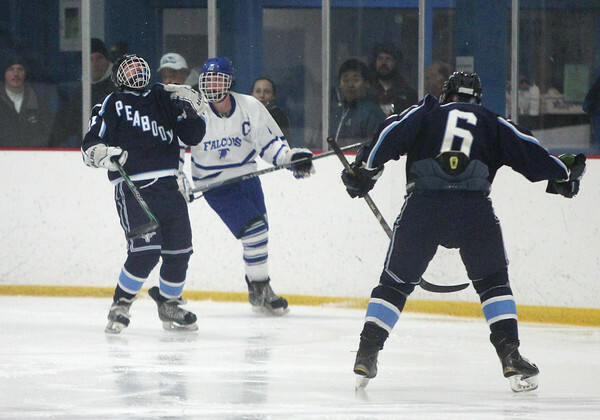 Peabody senior JT Eason (21) celebrates his second period goal as teammate Donny Shaw (6) comes over to celebrate.